Detailing the physical features, habits, territorial reach and other identifying qualities of the Oak Treehopper. 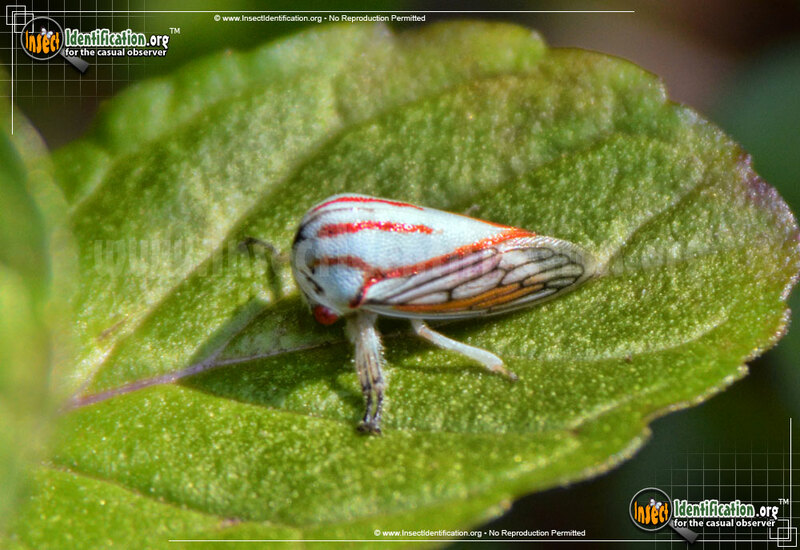 With or without a horn, the Oak Treehopper still charms with its bright colors and giant leaps. Oak Treehoppers are light blue with red stripes. Some may have yellow speckles. There is variation within the species, and individuals change color and shape as they mature. A horn on the head may or may not be present. The overhead view of a treehopper's body shape is like an isosceles triangle: wide at the head and narrow at the end of the wings. Transparent wings with black veins rest against the side of the body. The Oak Treehopper female cuts into soft twigs and tucks her eggs into the sliver. This activity does not severely damage the tree, but it does typically leave small, speckled scars after eggs have hatched. Broods can have between 50 and 100 eggs, and females have been observed standing guard over the young nymphs just a hop away on another branch. 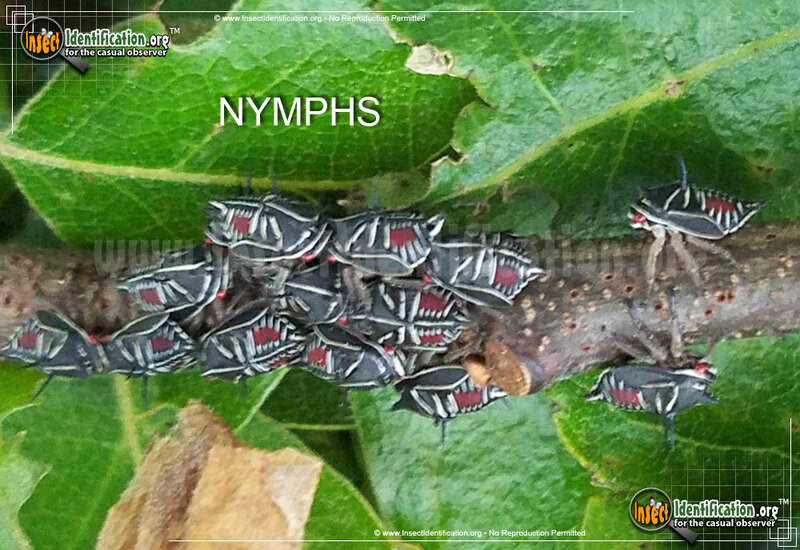 Nymphs have red eyes and a red patch on the center of the black and white striped abdomen. They look like little armored bugs with big legs and spikes by its head. It is common to find clusters on them crawling over each other on a stem or branch.